The TV Batboat is super cool but never lived in the Batcave on TV. They had to drive to the marina to get to it. That seems unlikely and awkward to us. Just slightly less goofy than having the Batmobile actually trailer it. (a la the Corgi gift pack) I always loved the idea that the cave housed EVERYTHING. So we are borrowing from the comics the idea of an underground Grotto that is a tributary to Gotham harbor. Our back-story is that perhaps Batman expanded an already existing grotto to his needs. 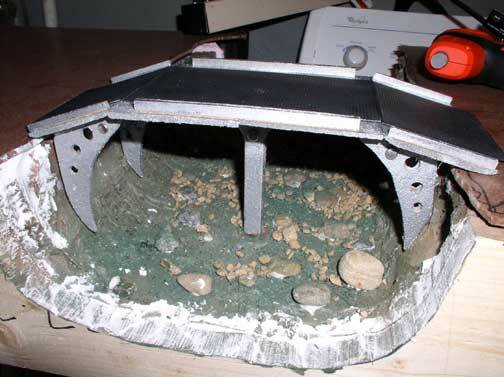 In the diorama – I wanted this far enough away from the center TV Atomic Pile area so we are placing it to the far right. And since that’s our cave exit, we needed a bridge for the Batmobile. And a grotto or cave lake for the Batboat that could actually handle real depth. 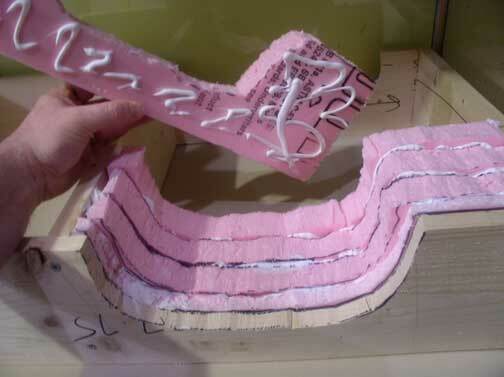 We started by creating a light but rigid base for the lake out of slices of pink insulating styrofoam (home depot) and used Project Glue for Foam to put them together. 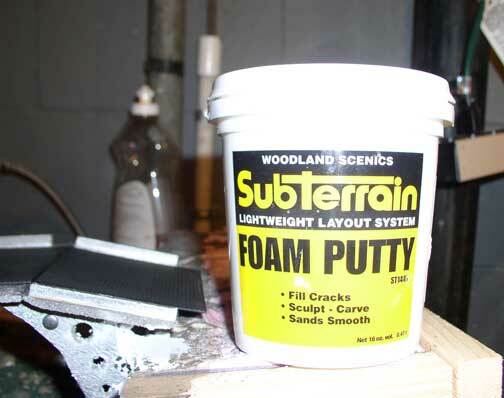 Then we needed to seal it up to be able to actually support our “water.” We used these great products to seal up the seams and then provide some underwater lake effects. We decided that the Batcave grotto would be a typical East Coast limestone based cave lake and so most of the ballast (rocks) got the grey/green mossy treatment that we see around PA a lot. It was a challenge to remember and plan for all this to be sealed underwater. We also decided that perhaps the Atomic Pile would need a cooling system so there are intake and outake pipes in the lake walls. Made from trimmed pieces of silver cable hiding hoses and then weathered and decals added. We built the bridge after a design that Alexander drew. I liked it because it was a little Burton-esque yet not unrealistic. We made it out of balsa, painted it silver with hammered aluminum for the texture and then weathered it and added the big rivet bolts and the non-skid surface. We dropped it into place and then foam-puttied around the struts. 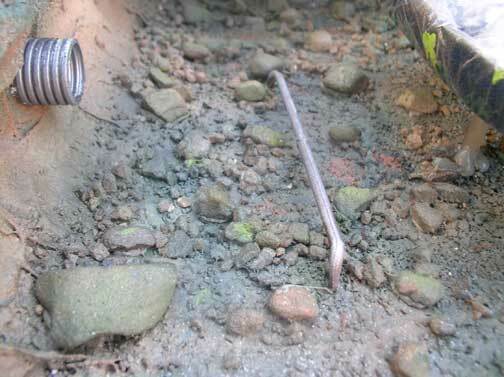 We planned to fill the lake bed with clear railroad water effect resin. I wanted the Batboat to be immersed realistically in “water” but I also did not want to permanently embed my Jim Apitz-made batboat model in clear resin. So we decided to grab a spare Polar Lights Batboat hull, and mount it in the lake bottom, seal it with plastic wrap for easier removal later, then pour the resin in around it. The theory was that when we had the right water level and it had hardened – we just pop out the spare hull and put the Batboat model in its place. Well it was a great idea that we didn’t think through completely. More on that later.